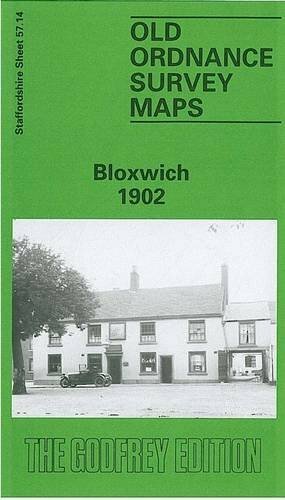 Here are the details of maps for Bloxwich: Staffordshire Sheet 57.14 Bloxwich 1902 - published 1993; intro by Stuart Williams. ISBN.978-0-85054-626-2 This detailed map covers much of Bloxwich, north of Walsall, and also includes Little Bloxwich and Wallington Heath. Features include Elmore Green (at foot of map), Highfield House, section of railway (but no station), section of Wyrley & Essington Canal, Wallington House, Bloxwich Park, brewery, cemetery, old coal shafts, Baytree House, The Hills, Selmans Hill Farm etc. A Bloxwich Directory from the Walsall Red Book is also included on the reverse.